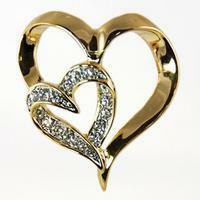 This beautiful Austrian Crystal Heart Necklace comes on a delicate gold chain and can also be worn on a Gold Collar. Comes with gift pouch. Pink T-Shirt Charm set in a silver finish.